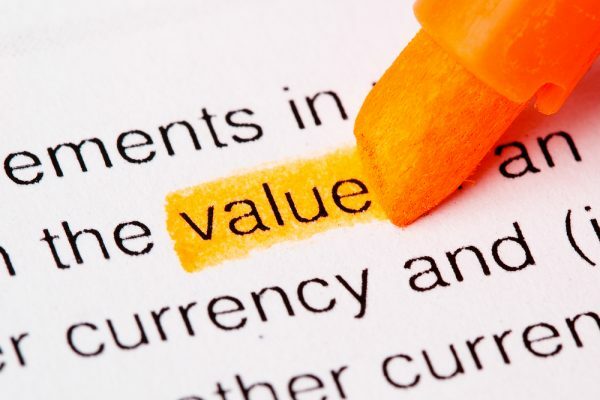 Value Investing is an investment strategy where investors buy shares of a company they consider as undervalued. There has been a lot of talk about this investment strategy, so I was really curious to find out more. The main question I want answered is, compared to the many investing strategies out there, what makes value investing so special? Then came a chance where Value Investing College invited me to attend a Value Investing Workshop that they organised. So, I jumped on the chance to attend the workshop from Value Investing College, hoping to uncover the secrets and advantages of value investing. I was pleasantly surprised! For a start, the workshop was very easy-to-understand even for a complete beginner like me. The other people who attended the session with me, came from diverse backgrounds, from young people hoping to attain investing knowledge to mature working adults searching for ways to get better investment returns. The speaker on that night was Borwen Neo, who possessed a range of investment experience. Borwen is an acclaimed investor who have done multiple talks and had built up a respectable portfolio generating consistent income monthly. 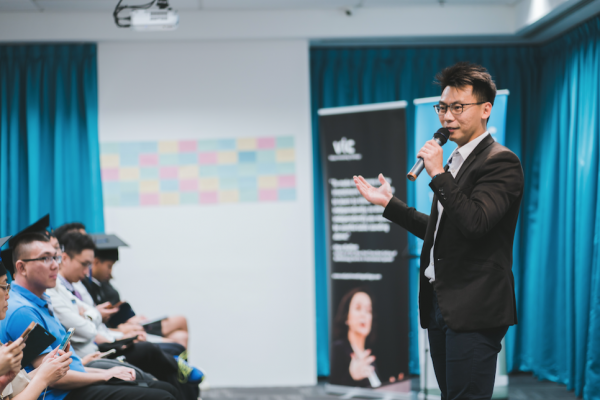 He shared about how value investing brought him financial freedom and wanted to allow others to have the same liberation from financial freedom. Having been mentored by Mary Buffett and Sean Seah, he learnt the investing strategies employed by billionaire investor Warren Buffett. According to Borwen, value investing has been a strategy proven to work throughout history, with many examples of successful investors using value investing strategies to manage their portfolio. Most people think that investing is something that’s time consuming and only suited for investment professionals, which was what I thought too! However, Borwen demonstrated otherwise, and showed us how it can be really simple. He also demonstrated that many think investing as something dangerous, abound with much risk. This has led many to think that investing is akin to gambling. But the risk is very minimal if you know the valuation of the stock and the business model that you are investing in. To him, value investing is a strategy that anyone can adopt to get money working for you, which can lead to having a steady amount of passive income that can exceed your monthly expenditure. He advocated a way of investing that is a win-win situation; enjoyable, safe, and low risk. Borwen distills the process of value investing into 3 simple steps: Assess, Buy and Cashflow. Firstly, assess the performance of the market. Find brands that are able to perform and have a consistent track record through time. Secondly, buy products that have low risk but high returns. 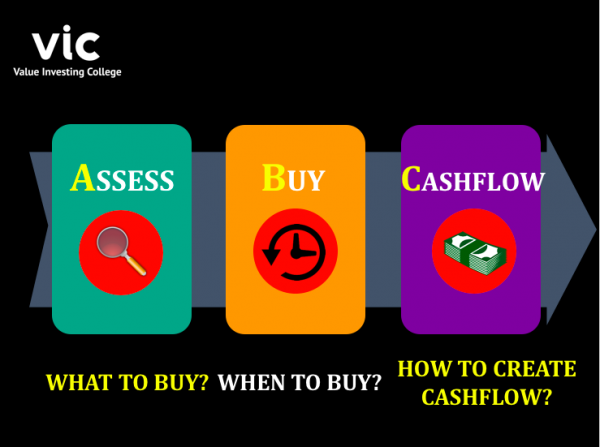 Lastly, determine the method of investing through various cash strategies employed. It was easy to follow through the flow of investing as he clearly elucidated how the layman can be engaged with investing. Something really interesting he shared was that buying shares after a midst of a crisis was the best time to buy, given that share prices will be at their lowest. He likens this to an analogy where the best time to do things is after a storm has happened. I have always thought that investing should be avoided when the stock market is not doing well. So untrue! This was a quote inspired by Donald Trump’s mindset towards investment. Many people worry too much about the upside and fail to consider how important risk is when it comes to investing. Borwen emphasized that value investing is not a get-rich-quick scheme. It is a strategy for people who are looking to strategically grow their wealth over a period of time. With consistency, patience and timing, investing can be easy. Overall, I enjoyed the workshop very much! It was very lively and I have a better understanding about value investing now. So how is value investing different from the rest of the investing strategies? I find that value investing’s charm lies in its ability to enable an investor to be confident with his investment and not be swayed by the positive or negative news in the stock market. Having this confidence will help you stay invested long term, at the same time reducing the amount of time required to keep track of your investments. 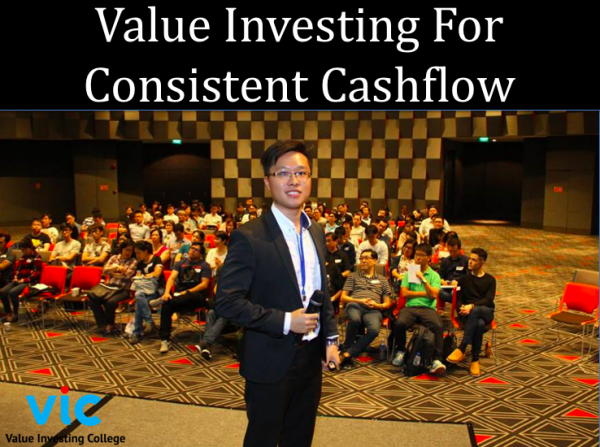 This two hour long workshop is definitely not enough to make you a savvy investor, and I would certainly be attending some group sharing and discussions – also hosted by Value Investing College – to continue learning more and start investing wisely. If you are interested in finding out more about value investing and how it can educate you on your investment, learn more here. Registering for the workshop is hassle-free. If you are looking to sign up for an investing workshop, you can access this link to register with them. Located at the heart of town at Goldbell Towers, it is also accessible and easy to get to Value Investing College. Value Investing College is a leading school in value investing, having branches in 23 cities and teaching its courses in 6 languages. Value Investing College aims to reach out to a diverse range of people. From the student still studying to the age-old elderly, there is something for everyone in growing their financial wealth and attain financial freedom. If you are interested in getting on the road of value investing, Value Investing College is providing a 3-day bootcamp to get you started on becoming a value investor. The bootcamp will teach you how to invest like Warren Buffett and equip you with the necessary skills and knowledge to do so. A course fee of this bootcamp is nothing compared to the wealth, returns and knowledge you will gain for an entire lifetime. Many people have seen success in adopting Value Investing College’s investment strategies. 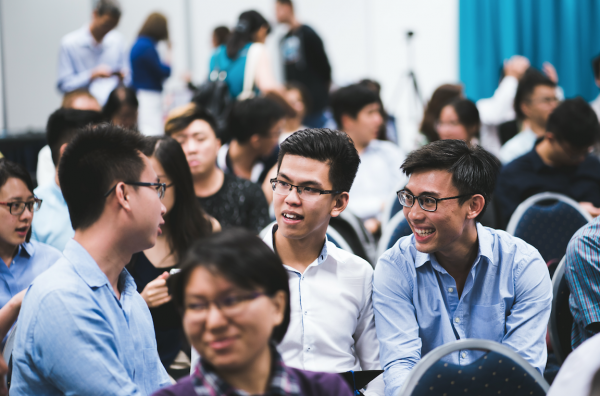 From the doctor and civil servant to the student, using value investing as an investment strategy has greatly benefited them in discovering their own financial freedom. If you’re looking for a safe way to invest and achieve financial freedom, perhaps value investing is the way for you to do so. Value Investing is more than Warren Buffett. Here’s what you should know about the investment strategy.